Vinyl records are about the only physical media sales the music industry can boast about nowadays. Sales have been steadily rising for years now — last year, 6.1 million albums were sold (the highest since 1991, which is when Soundscan starting tracking) and we’re on track to surpass that number this year. Jack White broke the first-week sales record back in June, selling 40,000 copies of Lazaretto. So just who has been selling all of this vinyl? Buzzfeed reports that most of it has been coming from Urban Outfitters, who they say are now the world’s biggest seller of vinyl records. That claim sounds a little scarier than it actually is: in 2012, 64% of vinyl sales still came from independent record stores, but Urban Outfitters is one of the only worldwide corporations in the vinyl-selling business, so they hold a lot of power. 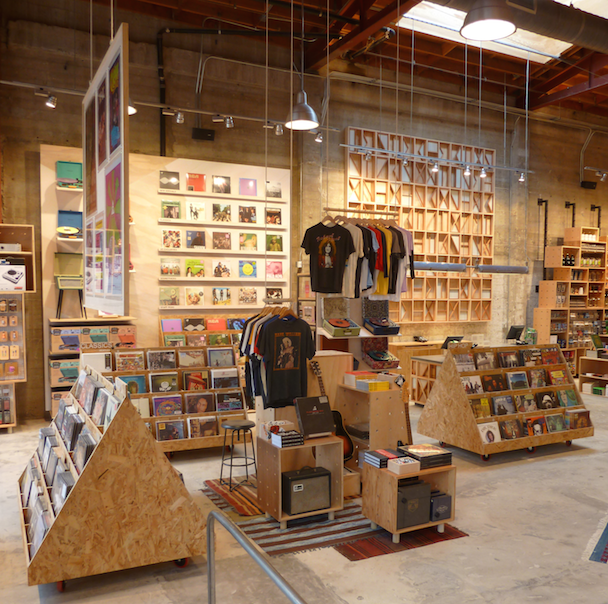 A 2013 Village Voice article asked whether it was “OK” to buy records at Urban, and talked to Sub Pop’s director of sales Richard Laing who said that they’re happy doing business with the clothing store. “An artist always gets the biggest cut if you buy it from their merch table, and the label gets the biggest cut if you buy it from their website. If you want to support them, you should always buy directly from them.” When buying vinyl from Urban or any other record store, the artist and the label get about the same cut, but because of Urban’s high volume of sales, it makes a big impact. In a meeting with analysts yesterday, UO’s Calvin Hollinger explained how the company manages to get its hands on and sell most of its vinyl. Apparently, they have a system in place with 100 different vendors that allows them to offer the records in their store without actually owning the inventory. It’s an interesting process, and one that seems to be paying off for them. Last year, Target and Whole Foods took a page out of that book and got into the vinyl-selling game, so it doesn’t seem like the vinyl revival will be slowing down anytime soon. 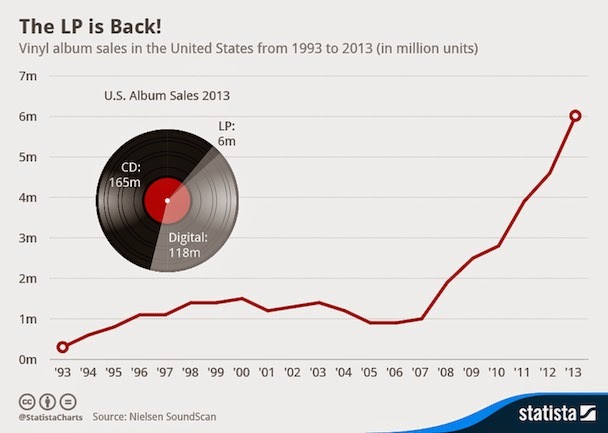 Here’s a chart via Statista that shows how vinyl sales have skyrocketed in the past few years. Vinyl sales still make up a small percentage of overall physical media sales, but with those dwindling, it’s not a stretch to expect them to take over more.